The Tax Administration Bill (TAB) was introduced in the National Assembly in June. The Standing Committee on Finance (SCoF) was formally briefed on the TAB in August and, subsequently, in September SARS, released its formal response document on the submissions received on the TAB. The 70-page response document is comprehensive and it is appropriate to refer to certain of the amendments that will be made to the TAB prior to the legislation being finalised and enacted. Furthermore, it is appropriate to consider what provisions are lacking in the TAB to address taxpayers' concerns and, particularly, ameliorate frustrations that taxpayers experience in their dealings with SARS. SARS received submissions from various professional bodies. The SCoF also received a submission from SARS' Constitutional Counsel, who sought to address concerns raised by commentators on the constitutional validity of certain provisions contained in the Bill, for example, the power of SARS to conduct a search and seizure operation without a warrant. Under s74D of the Income Tax Act, Act (58 of 1962), as amended, SARS may only conduct a search and seizure operation once a warrant has been issued by the court. The TAB proposes that SARS may conduct search and seizure operations without a warrant in order to protect the imminent destruction of documents. SARS indicated in its response document that the requirements in the TAB for a warrantless search and seizure operation are, apparently, stricter than those contained in 17 other South African statutes. Taxpayers enjoy a right to privacy under s14 of the Constitution, (Act 108 of 1996) and should not be subjected to searches or seizures that are not sanctioned by a court. On the other hand, SARS has the mandate to ensure that taxpayers comply with the statutes administered by SARS under the South African Revenue Service Act (94 of 1997). Clause 63 of the TAB allows a senior SARS official to authorise a warrantless search and seizure to protect the imminent destruction of documents and SARS’ Constitutional Counsel expressed the opinion that the power contained in the bill is valid under the Constitution. It remains to be seen whether the power will be abused in any way, once it is enacted. is usually situated inside a Revenue building. A number of the submissions received by SARS raised concerns about the manner in which the Tax Ombud’s office will be created and funded. Some commentators expressed the opinion that the proposals introducing the Tax Ombud do not go far enough. SARS indicated that the model for the Tax Ombud contained in the TAB is based on international practice and seeks to provide a substantial remedy to taxpayers in administrative and procedural matters. Submissions on the TAB expressed the view that a Tax Ombud cannot be regarded as truly independent in light of the fact that the costs of the Tax Ombud's Office must be paid out of the funds of SARS and that the staff are employed by SARS and seconded to the Thx Ombud. It was thus suggested in the submissions made that the Tax Ombud should be funded by National Treasury and that the staff should not be SARS officials. It was also recommended that the Taxr Ombud should be accountable to parliament. It must be noted that the TAB requires that the Tax Ombud is appointed by and accountable to the Minister of Finance. The Bill proposes that the Tax Ombud is housed within SARS, but reports to the Minister. A number of commentators have raised concerns that this undermines the independence of the Tax Ombud Office. This concern is understood, but from a practical point of view, if the Tax Ombud was located outside of SARS, it would give rise to practical difficulties, particularly relating to the protection of taxpayer confidentiality and related matters. The Taxpayer Advocate, created to assist taxpayers in the USA in their dealings with the Internal Revenue Service (lRS), and similar bodies created in Canada and the United Kingdom, are located within the Revenue Service’s office to simplify administration and preserve secrecy insofar as taxpayers’ affairs are concerned. It would appear the norm that the Tax Ombud is located within the Revenue Service, but that the Tax Ombud must account to the Minister, as opposed to the Commissioner. SARS proposed that the Tax Ombud be empowered to request the secondment of staff from SARS to the Tax Ombud Office so that the secondment of staff is driven by the Tax Ombud, as opposed to the Commissioner. In the earlier version of the TAB, the Tax Ombud was not required to submit his or her annual report to parliament. SARS has accepted that the Tax Ombud should table the annual report of the Tax Ombud Office in the National Assembly, thereby ensuring parliamentary oversight of that office. The Bill does not envisage a situation where the Tax Ombud can compel SARS to act in a particular manner. It would appear that this is the position of the Tax Ombud, or equivalent body, in Canada and the United Kingdom. 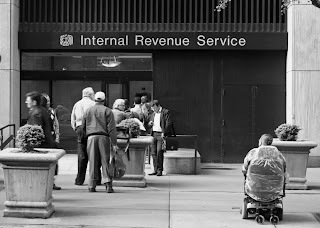 However, the Taxpayer Advocate in the USA can issue “taxpayer assistance orders," which requires the IRS to desist from proceeding to recover taxes from a taxpayer, until the Taxpayer Advocate has resolved the taxpayer's problem with the IRS. It is unfortunate that the Tax Ombud was not conferred a similar power whereby SARS could be instructed to refrain from acting against the taxpayer until the matter has been reviewed. It is hoped that in the report submitted by the Tax Ombud to the Minister and parliament, reference will be made to those instances where SAR'S has not adhered to the recommendations made by the Tax Ombud on how taxpayers' complaints should be dealt with. The Tax Ombud, as proposed in the TAB, cannot direct a taxpayer be reimbursed by SARS for wasted costs or damages as a result of SARS' abuse of power, or inefficiency. In the United Kingdom, the Taxpayer Adjudicator may recommend the payment of direct costs and a token payment to taxpayers to compensate them for the distress caused as a result of HRMC's conduct. It is unfortunate that the Tax Ombud will not have similar powers here. There is no doubt that some taxpayers currently experience frustration in their dealings with SARS. It would appear that there are undue delays in the payment of VAT and income tax refunds due to taxpayers. It is unfortunate that the Bill does not confer on the Thx Ombud some power to assist taxpayers in these cases. It should not be necessary for taxpayers to issue letters of demand and, subsequently, summonses against SARS to ensure the repayment of monies lawfully due to them. SARS has significant weapons available in its armoury to ensure the timeous payment of tax due by taxpayers but, unfortunately, taxpayers do not have any rights under the Act to enforce the payment of a refund due to them. Furthermore, instances of cases where SARS demands information previously submitted to it on numerous occasions are reported too often. This results in severe frustration for taxpayers and is also a waste of time and effort. In such cases, SARS should reimburse the taxpayer for the costs incurred where it has lost documents submitted and for which receipts are obtained. Furthermore, there have been instances of taxpayers applying for tax clearance certificates and receiving those without any difficulties and then, on applying for a new tax clearance certificate, are suddenly advised that there are taxes allegedly owed from approximately 10 years ago, or that a PAYE reconciliation has not been submitted. It is unclear why these glitches occur but they cause frustration for taxpayers and can cost them business in that they may be precluded from applying for tenders from government or other businesses. The decision to create a legal framework for the Office of Tax Ombud must be welcomed and it is hoped that that office will resolve complaints lodged by taxpayers in their dealings with SARS. It is imperative that the correct person, with sufficient stature and gravitas, is appointed to head up the Tax Ombud's Office. The TAB is a move in the right direction in that it pulls together all of the administrative provisions currently scattered around the various fiscal statutes in the country. The fact that SARS must provide feedback to taxpayers undergoing an audit and the distinction between a normal tax audit and a criminal investigation indicated must be supported. No doubt once the TAB has been enacted, the provisions will be refined from time-to-time to enhance the legislation and to ameliorate deficiencies identified by taxpayers and the Tax Ombud in relation to systematic issues. For the Office of Tax Ombud to achieve its mandate successfully, SARS officials and taxpayers must trust the office will function properly and fairly. Croome is Tax Executive with Edward, Nathan and Sonnenbergs. This article first appeared in Without Prejudice, December 2011. The image (taken in New York, United States, April 15 2010, Midtown Manhattan office of the Internal Revenue Service) was purchased from iStock and is for editorial use only.